An 'ansome mineral specimen from St Blazey near Par on the south of Cornwall. 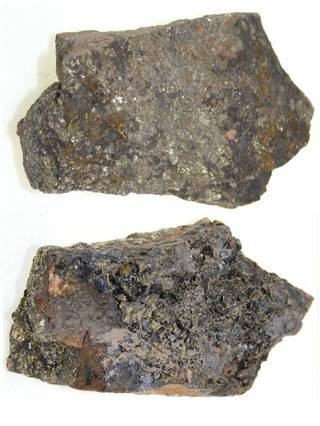 Both sides of this piece are shown in the photograph, as one has the Sphalerite terminations, and the other has more lustre of the Chalcopyrite. The piece comes with three labels of identification - ours and two handwritting cards from previous owners, showing the specimen's history above ground. Sphalerite aids full hazard and risk awareness, allowing intuitive abilities to play their valuable part. 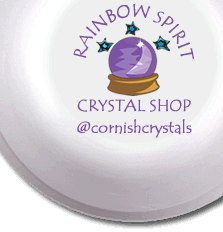 Active on the Heart and Root chakras it's a stone of physical strength matched with courage. It can support someone who loves too much, or keeps making the same mistakes in relationship choices, helping to resolve the underlying emotional needs and issues.